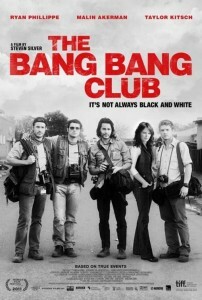 It’s comforting to watch a really well made and engrossing South African film. 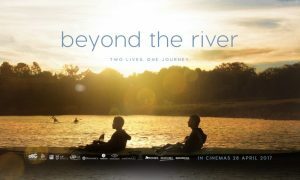 Director Craig Freimond’s sports drama Beyond the River focuses on two men from vastly different socio-economic backgrounds who come together and team up to do the gruelling Dusi Canoe marathon from Pietermaritzburg to Durban, a distance of 120 kilometres which takes place annually in February. Audiences first glimpse Duma an athletic young man as he is persuaded to do cable theft in the township near where he lives in Soweto. His poverty-stricken background clearly inhabits Duma from reaching his full potential and his risk of being sucked into a life of crime is narrowly avoided when he escapes being caught by the police. His one-time canoeing coach Oupa played by Israel Makoe (Tsosti, The First Grader) encourages Duma to take up canoeing again, where discipline and sportsmanship are required. In a different social spectrum is Steve Andrews brilliantly played by Grant Swanby, a determined man desperate to complete the Dusi canoe marathon yet his first attempt is scuppered when his canoe snaps in half and he literally runs to the finish line at the mouth of the Umgeni River in Durban. Director Freimond does not shy away from the complex issue of racial inequalities and emphasizes that sportsmanship is the way to achieve one’s goals in a post-apartheid South Africa continually beset with socio-economic problems. 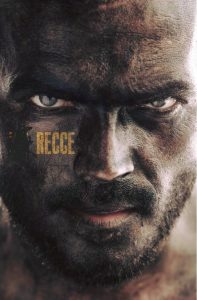 Freimond does not dwell on divisive politics, yet wisely focuses on an uplifting story of how Duma and Steve form a sport man’s bond as they team up to train and compete in the Dusi canoe marathon. The emotional crux of the story comes when both men let each other into their lives and gain a better perspective of where each man is coming from and what past occurrences have haunted their lives. Duma, wonderfully played by Lemogang Tsipa who maintains a powerful screen presence, is battling to deal with the loss of his bread-winning mother and has to contend with his overbearing father and younger sister who is battling to be educated in a poverty-stricken environment. Steve’s marriage to Annie played by Emily Child is on the verge of collapse as he battles to come to terms with the loss of their only son through a freak car accident. Eventually Steve and Duma both confide in each other in order to make their partnership stronger. Beyond the River is a riveting tale of sportsmanship beautifully filmed in Gauteng and along the Msunduzi and Mgeni Rivers showcasing spectacular scenery in KwaZulu-Natal as the two men battle the raging rivers and eventually make it to Durban. Through strength and determination both men manage to achieve their goal despite their apparent differences. Beyond the River also features some cameo’s by several South African actors including Ben Voss (Spud, 31 Million Reasons), Black Sails TV star Paul du Toit, Garth Breytenbach (Mandela: Long Walk to Freedom). Kgosi Mongake (Invictus, The Bang Bang Club) is particularly noteworthy as Duma’s rogue friend Zama who unfortunately succumbs to criminal influences. As an inspirational sports film, Beyond the River is solidly acted and beautifully shot gets a film rating of 7.5 out of 10. Highly recommended viewing especially for Dusi canoe enthusiasts. 31 Million Reasons director John Barker takes over the helm of the third Spud film, Spud 3: Learning to Fly as the story, based upon a series of hugely successful novels is written for the screen by its author John van de Ruit, follows John Milton aka Spud as he enters Grade 11 or what was known as Standard Nine the year prior to Matric. The crucial year is 1992 the year of the South African referendum in which white South Africans could vote on whether the then Nationalist Party’s current steps to dismantle apartheid was endorsed by the minority electorate, obliquely referred to in the film by a Sunday Times headline. This is a South Africa pre the 20 years of democracy scenario, and the setting is a wealthy all boys’ boarding school in the KwaZulu-Natal midlands – many of which still exist today. John Milton, wonderfully played by South African expat, Troye Sivan, escapes the turmoil of his domestic life as his crazy parents seem intent on splitting for divorce after his mother catches his father (played by Durban comedian Aaron McIlroy) flirting with the voluptuous Portuguese neighbour. Back at school, there is trouble with the Crazy Eight (the group of friends who forged their ties in silly antics involving a secret tree house in Spud 2) led by the arrogant Rambo played by Sven Ruygrok, as some of the members aim to be confirmed and become a school prefect. To make matters worse a new boy arrives from Malawi, Garth Garlic played by teen Youtube sensation Casper Lee, who desperately wants to be accepted into the Crazy Eight. Milton also has the threat of his school scholarship being revoked should he not prove himself both academically, theatrically and on oddly enough on the sports field. Milton often seeks advice from the caustic and brilliant Guv, wonderfully played by veteran British comedian John Cleese from the Monty Python movies not to mention Faulty Towers. This really was a monumental casting coup for the Spud Trilogy to get someone as prolific as John Cleese to star in a South African film and really improved the marketability of the Spud franchise abroad especially in the UK and Australia where there are large South African expat communities residing. Milton often seeks advice from the caustic and brilliant Guv, wonderfully played by veteran British comedian John Cleese from the Monty Python movies not to mention Faulty Towers. This really was a monumental casting coup for the Spud Trilogy to get someone as prolific as John Cleese to star in a South African film and really improved the marketability of the Spud franchise abroad especially in the UK and Australia where there are large South African expat communities living. Whilst Spud 2: The Madness Continues was meant to be humorous and silly in parts, Spud 3: Learning to Fly has a stronger script giving more flesh to some of the supporting characters especially the rest of the Crazy Eight gang including Fatty played by Blessings Xaba. The female characters are also better written and Van de Ruit cleverly frames the action of Spud 3 firmly within the third term antics of a disastrous production of Midsummer Night’s Dream at St Catherine’s all girls’ boarding school. Spud 3: Learning to Fly is a more coherent and less juvenile production showing not only that the characters have matured more as they should have, but the cast has become naturally more familiar with the Spud Phenomenon. This is a humorous family film, with all the recognizable trials and tribulations of teenage boys navigating puberty, peer pressure and that urge to survive high school with their male pride intact. Think a more diluted Dead Poets Society, specifically South African yet unfortunately not filmed in KwaZulu-Natal. If there is going to be a fourth installment of the Spud franchise let’s hope that it is actually filmed in KZN, showing off Durban and the Midlands for their unique beauty. Director Barker has done this before in the heist thriller 31 Million Reasons in which he really showed Durban off as a superb cinematic location. Spud 3: Learning to Fly is highly recommended viewing, proudly South African, poignant, nostalgic and appealing adding to the huge success of the first two movies. 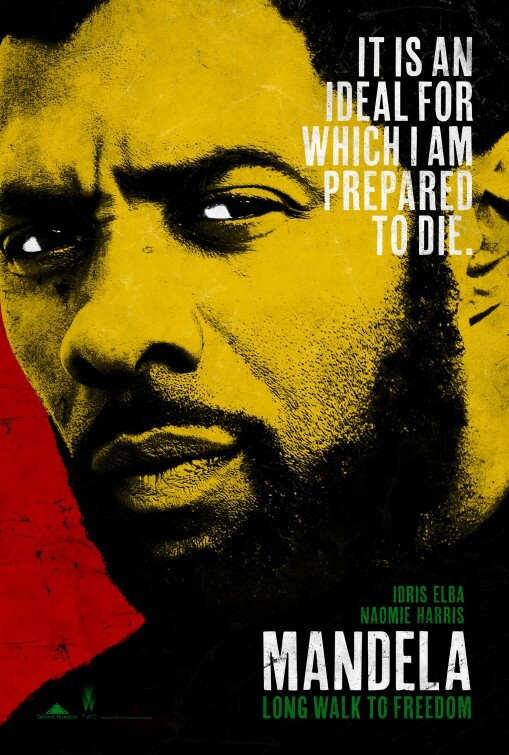 British born director of The Other Boleyn Girl Justin Chadwick brings to the big screen Nelson Mandela’s autobiography, Mandela: Long Walk to Freedom with the assistance of Durban based producer Anant Singh and international stars Idris Elba (Pacific Rim) and Naomie Harris (Skyfall). The timing of this film couldn’t have been more perfect or more poignant with the recent death of Nelson Mandela the Leader of the ANC and the first black South African president making international headlines. Mandela’s passing actually occurred during the British premiere of the film in London on the evening of Thursday 5th December 2013. Leaving politics or current affairs aside, is Mandela: Long Walk to Freedom worth watching? The answer is a definitive yes especially so for the generation of young South Africans that will be able to vote in the 2014 national elections. But also for those viewers who didn’t realize just how close South Africa came in the early 1990’s to a fully fledged near civil war as the leaders at the time including Mandela and F.W. de Klerk were negotiating a relatively smooth transition from an authoritarian Apartheid state to a country that South Africa has become today, progressive and internationally hailed and supposedly democratic. Mandela: Long Walk to Freedom is primarily an historical drama but also a love story between Mandela and his second wife Winnie Madikizela Mandela who is brilliantly played by Naomie Harris. Idris Elba does a superb job portraying such an iconic leader who went from political prisoner to President of a nation. Director Chadwick who also made the superb Kenyan film The First Grader, crafts an ambitious narrative whilst leaving all the burning issues as emotive and significant as ever showing a particular period of South African history that of the 1990’s similar to the 2010 film The Bang Bang Club, which was plagued with optimism, racism, militarism and brutal political violence. Upon his release from prison in 1990, Mandela choose a path of negotiated discussion with the then nationalist government headed by F. W. de Klerk, which makes that pivotal time in South African history so interesting and integral to the development of the rainbow nation as it is affectionately known today. 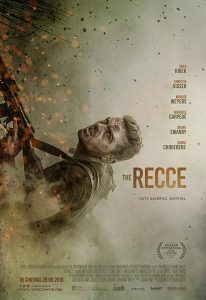 The film follows Mandela’s early days in Johannesburg in the 1940’s right through the Rivonia trials and to his eventual incarceration on Robben Island and his historic and subsequent release. Producer Singh has a knack for acquiring high profile stars for his films, so the signing of Elba and Harris in the lead roles of Long Walk to Freedom is crucial to the film’s success. The fact that both stars portray such political leaders so poignantly and powerfully is too their credit and will surely be acknowledged during the 2014 award season. Mandela: Long Walk to Freedom is long, at times difficult to watch if you are fully versed in South Africa’s turbulent and extraordinary history, but stands on its own as a cinematic tribute to an iconic leader who has now been immortalized in all spheres of South African society from Sport and Commerce to Politics and Art. This film is probably at times too long but is certainly recommend viewing for superb acting and lovers of historical political dramas. Mandela: Long Walk to Freedom also stars South African comedian Riaad Moosa (Material) as Ahmed Kathrada and Terry Pheto of Tsotsi fame as Evelyn Mase.